Today is a great day to be inspired. Just check out the Graphic 45 blog to see what I mean. Plenty of inspiration for beautiful cards using gorgeous G45 papers and embellishments, of course. Romy and I share our Botanical Tea creations and Ginny shows us how to make a sweet baby card with Mother Goose. You've simply got to check them out. Here's a look at my card. Be sure to hop over to the G45 and leave a comment so you can be eligible to win their fabulous prize giveaway! Thanks for stopping here today. Have a great weekend. Had to pop over and say that I love your card, Annette! 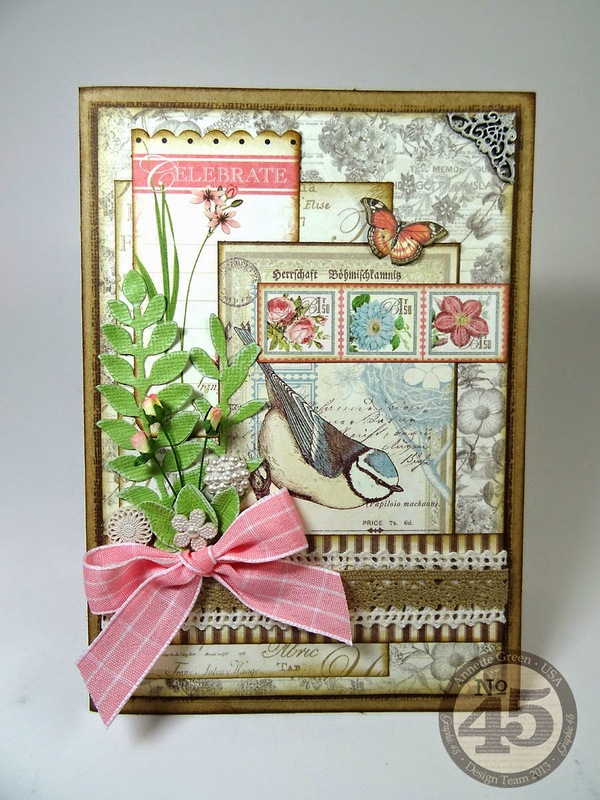 This is a gorgeous card, pity you don't have a tutorial!